Baby Valentine born on Valentine’s Day! 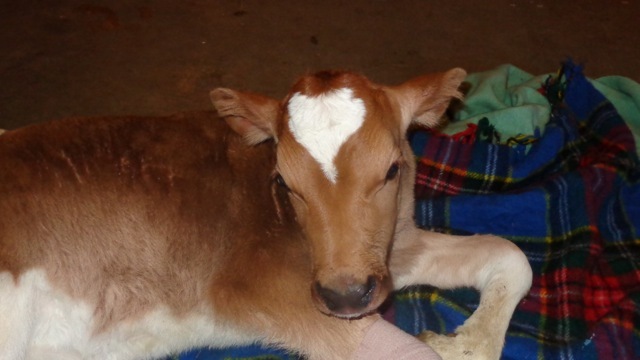 Heartbeet welcomed a new calf born on Valentine’s night, February 14, 2015. She was born with a white heart on her head and she is very sweet and we named her…Valentine! Have you opened your heart to Heartbeet today? Help us build our Community Center and in honor of baby Valentine, consider donating to us now. Next PostNext An Evening at the Cabaret – Video Premiere!